You might think that a man who campaigned for 22 months straight to capture the Presidency as the 44th person to do so and the 1st African-American in history, would decide to take a rest until his inauguration in January. But instead, he has continued to make very important decisions as to whom will assist him at the White House. Already known is 'Obama's Cabinet', a short list of people who can fill appointment in the Obama White House. These picks will be paramount in helping President-Elect Obama set the course of his Presidency during the first 100 day s.
First and top of the list is Senator Hillary Clinton. President-Elect Obama and Senator Hillary Clinton have discussed the possibility that she may serve as Secretary of State under Obama. She was Barack's major rival in the campaign and lost narrowly to Obama as he became the Democratic nominee for President, and later as he defeated John McCain for the bid of the WhiteHouse. Even though she may be a shoe-in for the job, critics are already saying that if she becomes his Secretary of State, that the decision would be going against his motto of 'change'. 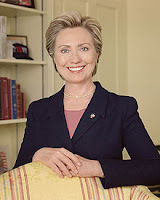 These critics claim that the Clinton era is over, and that if picked for this positon, he would be demonstrating that he may be going against his motto of 'change'. Regardless, President-Elect Obama has a mission, and that is to pick the best people to help serve him in the White House. 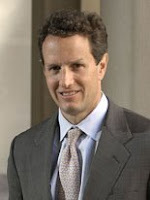 2nd, the Treasury secretary post may be filled by the President of the New York Federal Reserve Bank, Mr. Timothy Geithner. He helped out during the Wall Street financial meltdown this year, as he did oversee the acuisition of Bear Stearns by JPMorgan Chase Bank, along with the bailouts of AIG and Lehman Brothers. 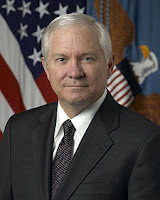 3rd, the Defence Secretary post may be filled by someone presently serving on President George Bush's Cabinet, Mr. Robert Gates. For the past 27 years, he worked for the Central Intelligence Agency while serving as directory for 1991 throught 1993. He also served as the deputy national security advisor under President George H.W. Bush form 1989 through 1991. 4th, the National Security Advisor post may be filled by a Retired General James L. Jones. He served in the Vietnam War for 1967 through 1968 while earning various honors. He is a 1985 graduate of the National War College. He was an assistant to Defense Secretary William Cohen in 1997. He was named the commander of the U.S. European Command and suprreme allied commander of Europe in 2003 by then Defense Secretary Donald Rumsfild. 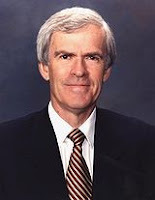 5th, The Secretary of Energy post may be filled by Senator Jeff Bingaman as he currrently chairs the Senate Committee on Energy and Natural Resources. His main responsibility is to oversee the U.S. energy policies. He's been a US. Senator from New Mexico for 6 terms. 6th, Arizona Governor Janet Napolitano is President-elect Obama's top choice for secretary of homeland security. She has been a governor in Arizona since 2002, and was re-elected in 2006. Prior to her Governorship, she was the state's attorney general and as a U.S. attorney for Arizona. in the early 90's, she was part of the legal team that represented Anita Hill during the Supreme Court confirmation hearings for Clarence Thomas. 7th, Former Democratic Representative Lee Hamilton may fill the post ofUN Secretary. He originally was an Indiana congressman for over 30 years. He was elected to the U.S. House back in 1964, but then left Congress in 1008. The committees that he chaired were House Committee on Foreign Affairs, vice chairman of the 9/11 Commission, and co-chairman of the Iraq Study Group since 2006 to help assess the conflict. 8th, Former deputy attorney general for President Bill Clinton in 1997, Eric Holder Jr. is on the short-list for Attorney General. He serverd as a U.S. attorney for the District of Columbia before working for President Clinton. In 1988, he was nominated by President Ronald Reagan to the position of associate judge of the Superior Court of the District of Columbia. He was instrumental as a top adviser in the Obama campaign while leading in Obama's vice presidental search.